Most lovebirds in Nairobi who can’t afford romantic date at ritzy restaurants usually end up at Uhuru Park or Central Park. Njuguna and his wife Celestine Ndinda were among those who frequented city parks for romantic escapades. 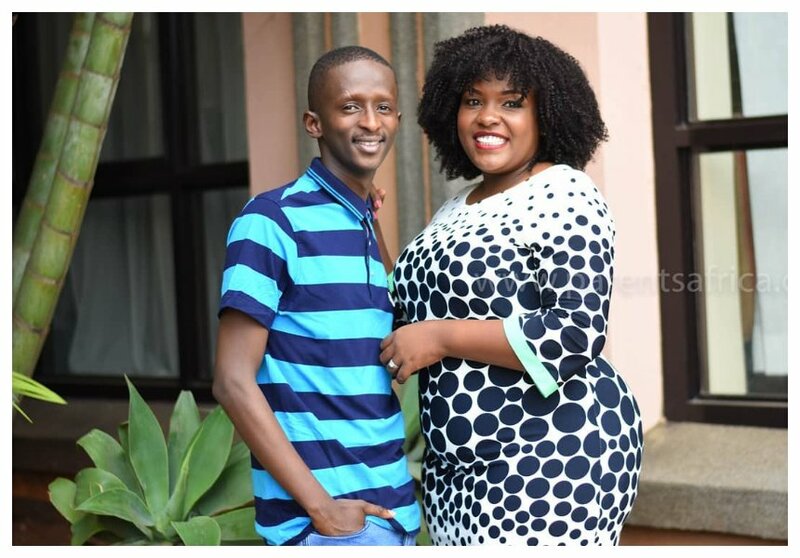 The comedian took to social media to narrate how his wife persevered with his romantic dates at Uhuru Park. He reveals that the first time he took Celestine to a nice restaurant was in 2014. “2014….. it was my first time kupeleka huyu mrembo @celestinendinda date akasema ameshiba….all other dates ,mostly zilikua Pale uhurupark, alikua anadai haskii njaa…..lol she was just being diplomatic anadanganya because tukirudi shule alikua anabomoa ugali..,” wrote Njuguna in part. 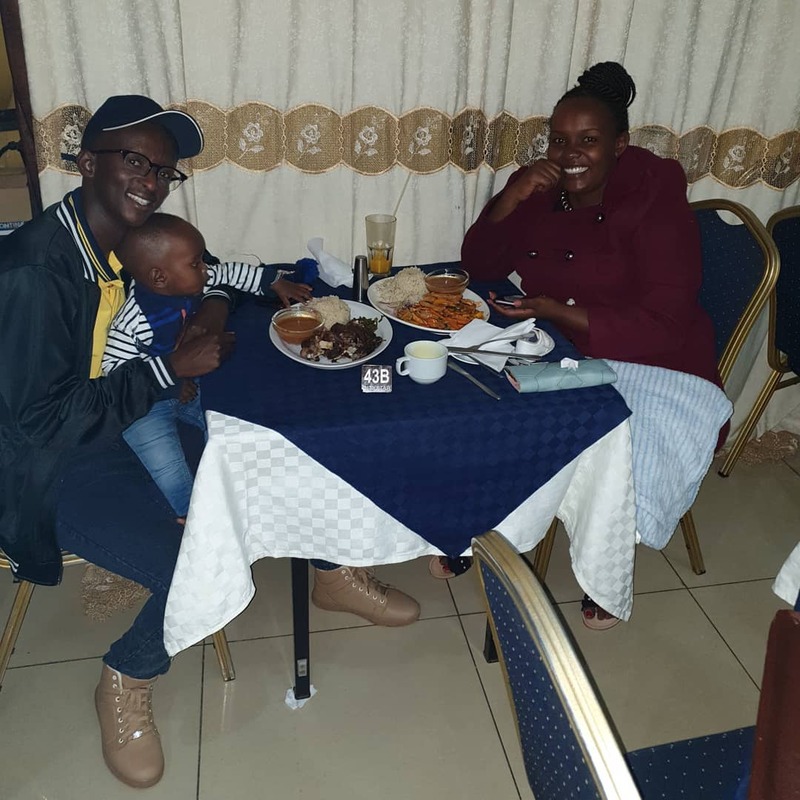 Njuguna says that he nearly failed to pay the restaurant bill when he took Celestine out to a nice place for the first time. He reveals that he only had Kes 500 with him yet the bill was Kes 650. The comedian says that he was forced to call a friend to bail him out, he further adds that he didn’t anticipate that his girlfriend would eat that much. “I was hoping ile 500 nilikua nayo ingetosha..well I was in for a surprise. When for the 1st time aliona I took her to a date somewhere with walls open air dates were the thing…(well cause of how our pockets were setup)…CBD akajua kajamaa kana pesa (we have been paid 1kfor a set book show nilikua nimechapa. So nikalipa deni ya 500 I had ..then the rest nikaamua nichafue mrembo) Now here we are….kimuhahe kikaniambia I tell her “take what you want”..big mistake.